Has the shape of your nose bothered you and distracted you from the beautiful features of your face? Has it been altered due to injury, or cause breathing problems? With nose surgery, known as a rhinoplasty procedure, Dr. Galiano can help you improve your nose’s appearance and proportion to your face in a natural way. Am I a Candidate for Rhinoplasty in Chicago? 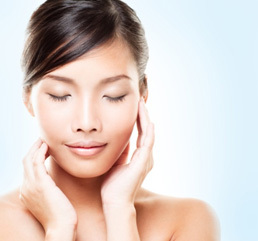 As with any surgical procedure, there are risks associated with rhinoplasty procedures. Dr. Galiano is happy to speak with you about any questions or concerns you may have regarding this procedure. Dr. Galiano has achieved excellent results in nose surgery and uses the latest technology to predict your outcome. During your pre-operative visit he will use 3D imaging to show you what to expect with your new nose. Dr. Galiano believes that in rhinoplasty surgery the airway is very important- a beautiful nose is a strong nose! As in nature, form follows function. This surgeon can take an open or closed approach to your surgery, and specializes in complex secondary nose surgeries and ethnic noses. Rhinoplasty is performed on an outpatient basis; anesthesia is used to keep patients comfortable and pain-free during surgery. If Dr. Galiano has chosen the open approach, he makes an incision across the strip of skin separating the nostrils (called the columella); this incision line may leave a slight, barely-noticeable scar. If Dr. Galiano has chosen the closed approach, he makes the incision within the nostrils to prevent any visible scarring. Through the incision, he adjusts the supporting internal nasal structures. Depending on the treatment plan, Dr. Galiano can add or remove bone or cartilage, shorten or lengthen the nose or reduce or increase the size of the nose. He may smooth a bump on the bridge of the nose, tweak the nostrils or refine the nasal tip. If needed, Dr. Galiano can use a cartilage graft from the septum (internal wall separating the nostrils), bone from the skull, silicone implants, fillers or fat grafts. After surgery, the nose (and eye area) is usually swollen, bruised, tender or numb. A splint or packing may be used to support the nose’s improved structure as it heals. Oral medication can relieve any pain or discomfort. Rhinoplasty patients must keep their head elevated — even while sleeping — and avoid strenuous activity or movement during the initial recovery period. Dr. Galiano closely monitors his rhinoplasty patients’ recovery, removes stitches, splints and packing when needed and advises when it is safe to return to a normal activity level. Patients love Dr. Galiano for his friendly and assuring manner. Our team will ensure that all of your questions and concerns are addressed before and after surgery. Specific instructions for care following your nose surgery will be provided by Dr. Galiano and his team. Additional information about the rhinoplasty procedure, can be found courtesy of the American Society of Plastic Surgeons. Patients are pleased with the natural-looking results Dr. Galiano achieves with their new beautiful noses, which enhances their attractive facial structures. Imagine your new nose today! To learn more about rhinoplasty, contact our Chicago office at (312) 926-4382 to schedule your consultation with Dr. Galiano today!